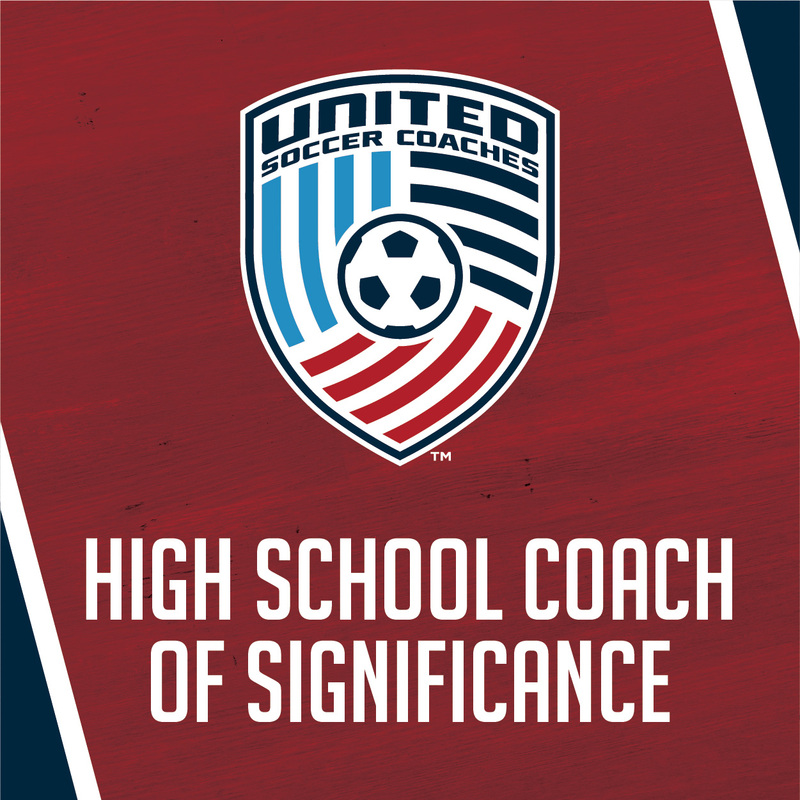 The High School Coach of Significance Award is intended to recognize members who are coaching for character, using the soccer field to teach life lessons at the high school level. It is an opportunity for each state, in conjunction with United Soccer Coaches, to recognize excellence and the chance to share stories of how coaches are making an impact within their schools and communities well beyond their records of wins and losses. Nominations will be accepted February 1- April 1 (11:59 p.m. CST). The online nomination form and at least one letter of reference is submitted for each nominee. Nominations will be submitted to the selection committee that has national, regional, and state representation. One recipient will be selected per state. Recipients will be announced in the fall. Is a high school head coach. Demonstrated character through education and leadership within his/her team, school or community. Expresses concern and support for others. Serves as an inspiration through accomplishments and leadership. Will need to be a United Soccer Coaches member if selected and chooses to accept the award. However the nominee does not need to be a current United Soccer Coaches member to be nominated. Prepare a one page letter of support for the nomination that includes details about the nominee relative to the award criteria. You will be required to upload the letter of support to the form or enter it manually as text before the form can be submitted. Up to three letters will be accepted.